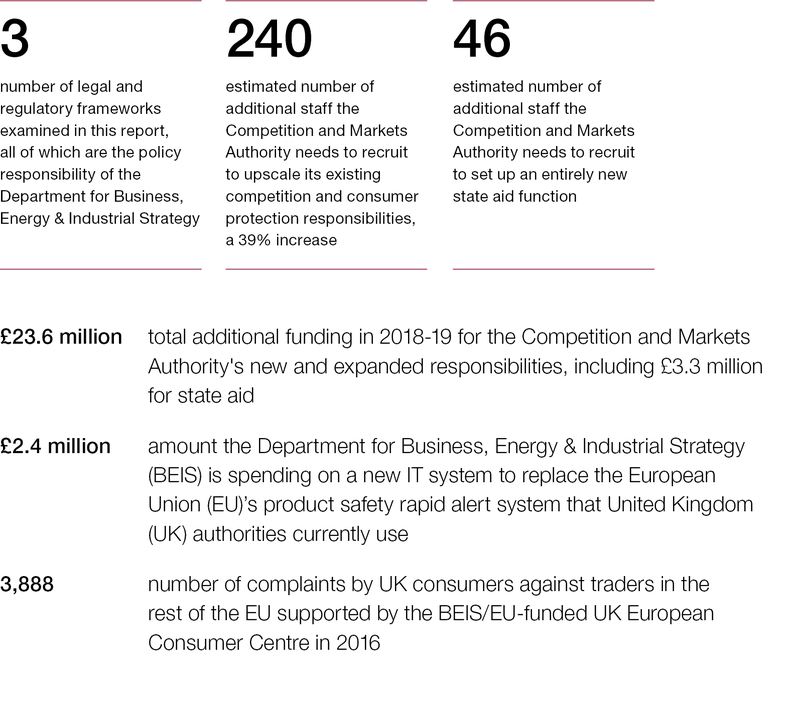 This report examines the progress made by the Department for Business, Energy and Industrial Strategy, the Competition and Markets Authority, and National Trading Standards in building the UK's legal framework and capacity and capability in consumer protection, competition and state aid. The legal and regulatory frameworks covering consumer protection, competition and state aid are intended to create fair and effective markets that support consumer confidence and economic growth, and ensure that competition and markets work well for consumers. Consumer protection law helps protect consumers from unfair trading practices, competition law aims to promote competition between firms to the benefit of consumers and businesses, and state aid regulations are intended to prevent distortions of trade and competition. These three frameworks are linked to varying degrees with European Union (EU) law and sit within the competency of the European Commission (EC). 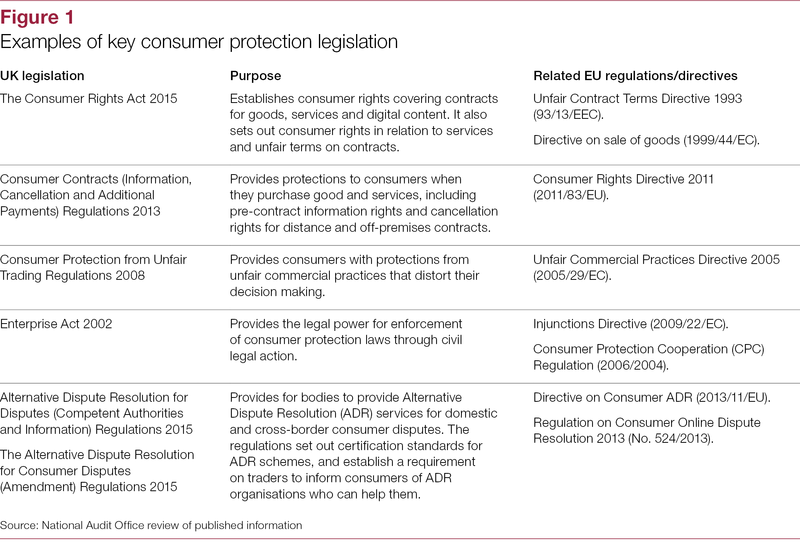 In the UK, the Department for Business, Energy and Industrial Strategy (BEIS) is responsible for the general framework of consumer protection, and has overall policy responsibility for completion and state aid. The UK government has indicated that the UK will leave the EU single market when it ceases to be a member of the EU. Following EU Exit, the competencies in all three regulatory areas will fall exclusively to the UK, which will have implications for the UK government and regulators. 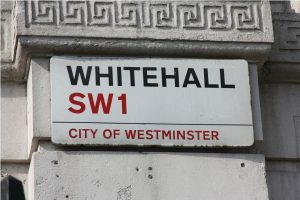 BEIS will need to ensure that the UK’s legal and regulatory frameworks are operable from March 2019 in the event of no deal, or at the end of a transition period if this is agreed. UK authorities will need to develop increased capacity, and new skills and capabilities, and the Competition and Markets Authority (CMA) and UK regulators will need to prepare for the relationship with European regulators and other agencies to change. 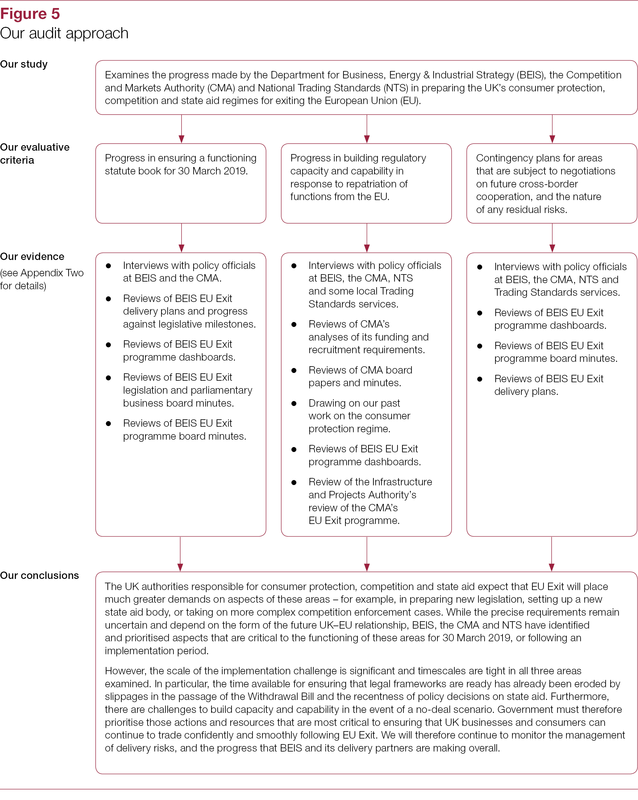 the progress made by BEIS, the CMA and National Trading Standards in building regulatory capacity and capability for the UK in response to the potential repatriation of functions from the EU. This includes preparing for two alternative scenarios: one with an implementation period until 31 December 2020 and another for 30 March 2019 in a no-deal scenario. The report also provides a commentary on contingency plans for areas that are subject to negotiations between the EU and UK on future cross-border cooperation, and the nature of any residual risks. 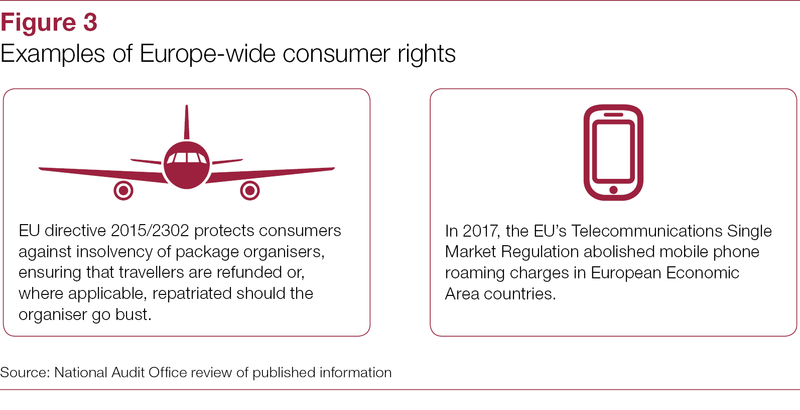 The UK authorities responsible for consumer protection, competition and state aid expect that EU Exit will place much greater demands on aspects of these areas, for example in preparing new legislation, setting up a new state aid body, or taking on more complex competition enforcement cases. 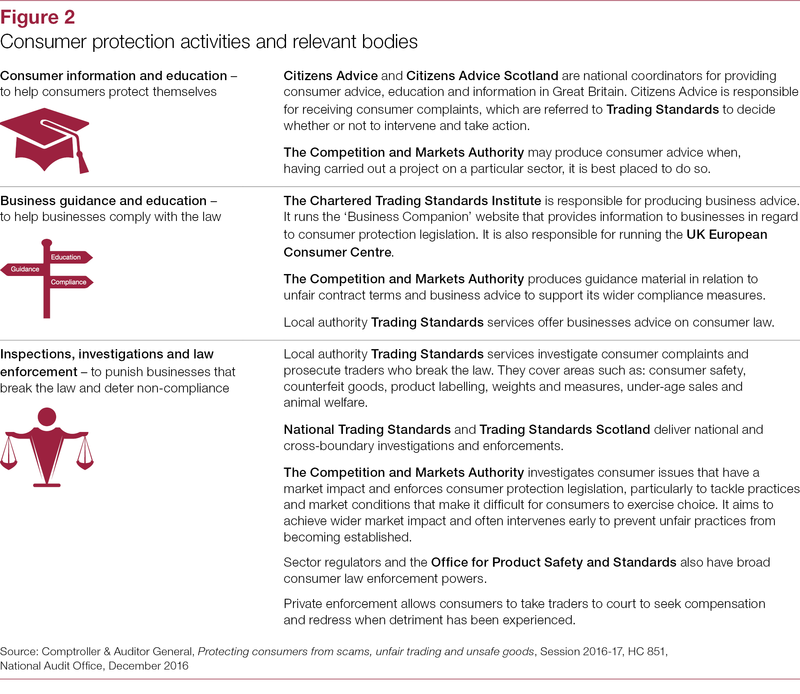 While the precise requirements remain uncertain and depend on the form of the future UK-EU relationship, BEIS, the CMA and National Trading Standards have identified and prioritised aspects that are critical to the functioning of these areas for 30 March 2019 or following an implementation period. However, the scale of the implementation challenge is significant and timescales are tight in all three areas examined. 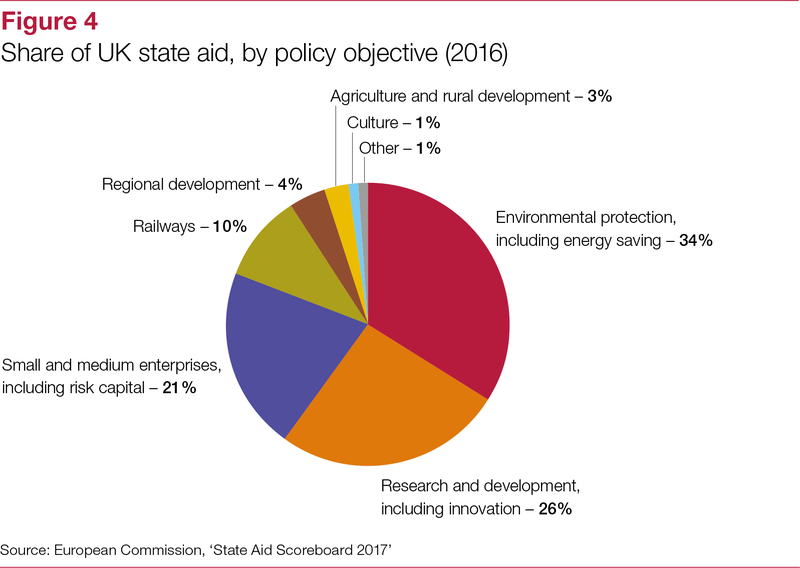 In particular, the time available for ensuring that legal frameworks are ready has already been eroded by slippages in the passage of the Withdrawal Bill, and the recentness of policy decisions on state aid. Furthermore, there are challenges to build capacity and capability in the event of a no-deal scenario. Government must therefore prioritise those actions and resources that are most critical to ensuring that UK businesses and consumers can continue to trade confidently and smoothly following EU Exit. We will therefore continue to monitor the management of delivery risks, and the progress that BEIS and its delivery partners are making overall.